A second Texas First Family pioneer, Edwin Leroy R. Patton, was born December 11, 1803 in Chester County, South Carolina. He married Louisa Scott, of South Carolina, born February 20, 1816. E.L.R. Patton and Louisa Scott were married in December of 1835 in Daviess County, Indiana. In 1840, the Texas Census Records of 1820-1890, indicate that Edwin Leroy Patton and his family were living in Robertson County. The county was established by the First Texas Congress on December 14, 1837 and officially organized in 1838. Mr. E.L.R. Patton was duly elected and commissioned as Chief Justice of Robertson County on February 22, 1843. The official Commission document was written at Washington on the Brazos, and officially signed by the Republic of Texas President, Sam Houston, and the Secretary of State, Anson Jones, dated April 8, 1843. Judge E.L.R. Patton owned substantial land holdings in the districts of Nacogdoches and Robertson through the late 1840's. On September 28, 1848, he purchased 320 acres of land from Mr. John S. Flint of Freestone County. In 1850, Mr. Patton moved his family to Limestone County and five years later, in 1855, he relocated to Cotton Gin, Freestone County where he had previously purchased 320 acres. He used the land for agricultural purposes. Between the years 1855 and 1861, Judge E.L.R. Patton was granted a quarter acre section of land (160 acres) in the Wright Community, Precinct 1, Parker County, Texas where he established a working farm. On October 1, 1861, in Weatherford, Parker County, Texas, Judge E.L.R. Patton, at the age of 57, enrolled in the American Civil War as a Sergeant to serve the cause of the Confederacy. His service regiment was Captain C.L. Jordan's Company 5th Regiment Texas Cavalry (5th Mounted Volunteers, 2nd Regiment, Sibley's Brigade) Company K. He mustered into service on October 23, 1861 in San Antonio, Texas. His period of duty read, "For the war." E.L.R. Patton was appointed Quartermaster Sergeant on November 22, 1861, and resigned as Quartermaster Sergeant December 11, 1861. According to official records, Mr. Patton's enlistment dates were from October 23, 1861 through December 31,1861, followed by December 31, 1861 until April 30, 1862. Mr. Patton was honorably discharged on March 23, 1862 based on a Medical Surgeon's Certificate. In 1867, following Judge E.L.R. Patton's service to the Confederacy, he along with numerous other male residents of Parker County, Texas, had to swear an "Oath of Allegiance" to the United States before they were allowed to vote in county, state, and federal elections. According to the 1870 United States Federal Census, Judge Patton and his family are found living in Precinct 1, the Wright Community, Parker County, Texas. 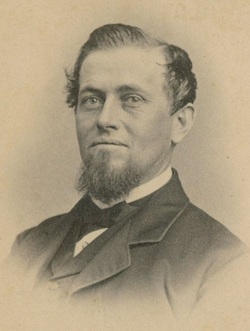 Chief Justice E.L.R. Patton, an American Civil War veteran and pioneer farmer, died March 22, 1880. 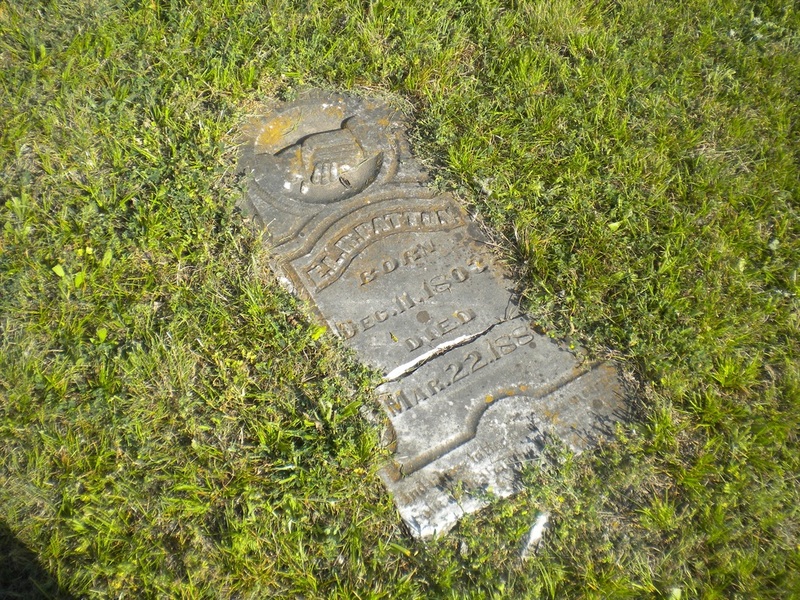 He is buried beside his wife Louisa (Scott) Patton who died August 1, 1886. E.L.R. Patton and Lousia had seven children, two of which, George Ross Patton (1847-1895) and Lee Cyrus Walter Patton (1852-1884) are buried in the family plot at Clark Cemetery.